The guys may have been a little too stoned to record this episode but they did it anyway. They then proceed to get even higher throughout the show. Steve announces this weeks giveaway! We are asking you to make a theme song for the podcast! 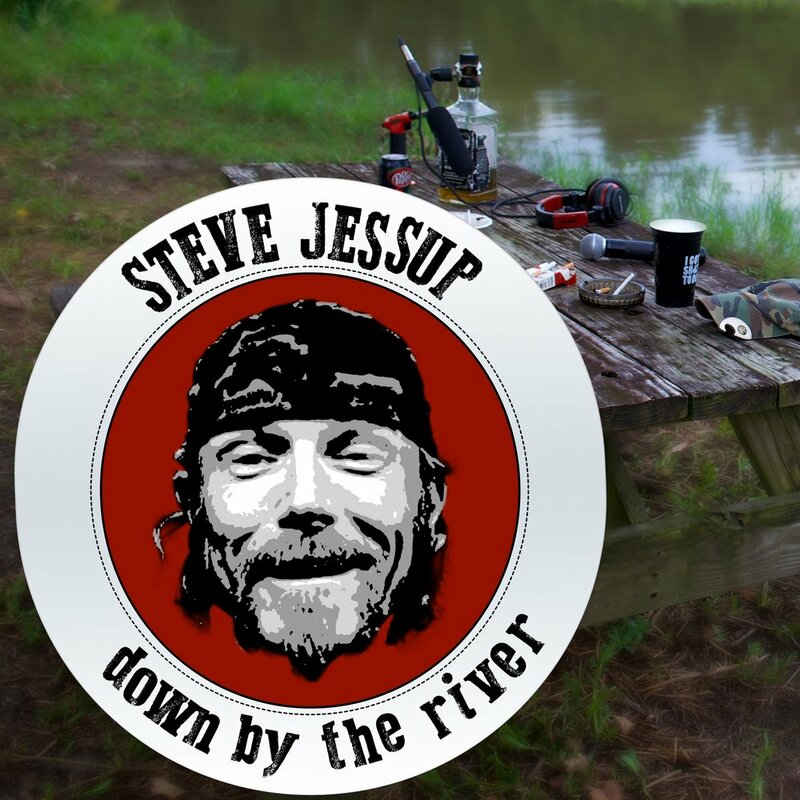 If we choose your theme song you will receive the swag bag with $150 worth of Steve Jessup merchandise. Send your entries to Jessup@IKnowMyRights.com! To see a picture of what you can win go to IKnowMyRights.com! Posted on April 23, 2019 by Steve Jessup and filed under Podcast and tagged daniels gambling marijuana wasted band dab rig dabs sauced lawn mower lake party masculinity man park jack daniels garage jack usa stand up boats trailer grass health. It’s the official stoner holiday! Celebrate 420 with Steve and Mike on this very special episode of Down By the River! The guys rip hits like a mofo and Steve’s neighbhor Kent fires off some rounds to celebrate. The boys take a weed quiz and get some learning done. Tag Steve (@DuiSteve) in an Instagram post to show us how you celebrate 420 this weekend! 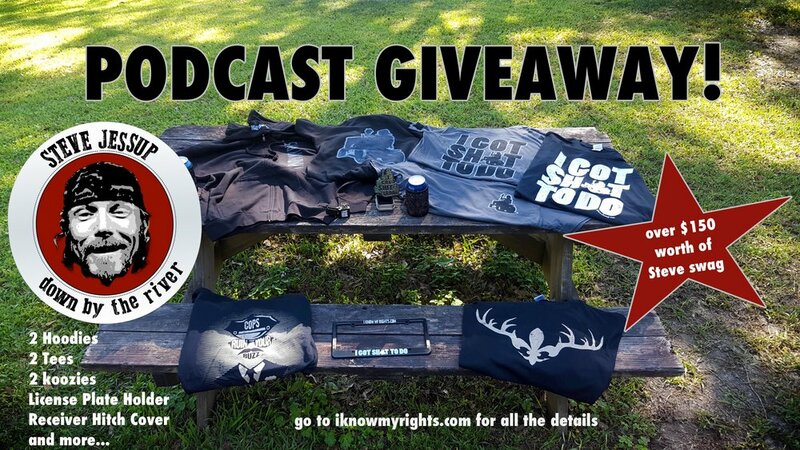 Steve will pick a favorite post and give away a Lid O Merch worth over $150 on the next episode! You can check out pictures of what’s in the Swag Bag at IKnowMyRights.com HAPPY 420!!!!!!!!!!!!! Posted on April 20, 2019 by Steve Jessup and filed under Podcast and tagged 420 weed smoke high pot marijuana party dope grass holiday april lake jack man lawn mower masculinity dabs daniels band sauced wasted jack daniels garage gambling dab rig trailer snake eyes usa boats stand up health steve jessup dui.